Why is Trump’s Border Wall Seen as Immoral When Existing Border Walls are Not? The problem here is that one side of the debate is unnecessarily over simplifying the belief of the other side. Which we all know happens on both sides. But for now I want to focus on this specific misunderstanding, and expand on the differences between the existing system of walls/fences and the proposed new additions from Trump. The existing system of walls and fences and technology has been effective for a long time – bringing illegal border crossings down to the lowest levels in decades, while making many border cities some of the safest in the nation. However, the side effect of that has been that migrant workers have changed tactics: they now come in legally to visit and overstay. That is where more than half of illegal immigration comes from currently: overstaying. Now typically, officials just turn a blind eye to people that overstay as long as they don’t break any laws, which most undocumented immigrants are glad to comply with. Less law enforcement entanglement, less chance of getting deported. I live in Texas, and we see this all the time. But no one will write on it, no one will expose it, no one wants to bring a light to it. It just stays under the surface. Why is that? Because the flip side is that this situation creates a work force of millions of undocumented workers that business owners (especially in the South) take advantage of. These business owners pay these workers less than the law requires for minimum wage, and typically abuse and exploit them (because they will avoid going to the police at all costs). So while conservatives are all trying to get in “sick burns” on the Libs for looking at new and existing walls differently… the existing wall is causing a scenario that leads to the abuse and exploitation of human beings that are made in God’s image. It would be nice if conservative beliefs led them to look beyond politics to the people behind the rhetoric, but oh well…. So now about the proposed wall. We now know that power tools can easily cut through the current wall/barrier/whatever design quickly, so this wall will not keep drug dealers out. They already keep power tools accessible for the current fences. We also know the Trump Wall design only extends 6 feet underground, and does not have the $10+billion extra dollars needed for anti-tunnel technology or designs deeper than that, so it won’t stop people from tunneling under it (in fact, the actual cost for what Trump wants to do may be $38 billion or more). It will only stop people that walk across the border. That scenario does not describe how most criminals cross our borders. And we also looked at how undocumented immigrants (most of them migrant workers) have gone to other methods to get to the U.S. rather than illegal border crossing. There is only one group of people that try to walk up to our borders: people seeking asylum. They don’t carry power tools or tunneling equipment with them. Even if they had these tools, they wouldn’t bring them because they are literally just trying to present anywhere at the border. So the new border additions are only effective against stopping asylum seekers. Any criminal elements trying to hide in these groups (which there really aren’t that many that we can verify, but people always ask) would be equipped to get through the current wall design, but would do so only after separating from the caravans in order to avoid attention. This is why Liberals see the Trump Wall additions as immoral, especially those that are Christian. The Bible is very specific about welcoming foreigners (which includes those seeking refuge). The new wall additions are designed to stop refuge seekers from doing so (because once these groups gain asylum, they take tax money away from corporate bail-outs and war machines – and the upper 1% can’t have that). Again, this all goes under the heading of why the new Trump Wall is seen as immoral. At this point, people on the conservative side of this debate will bring up the Gang of 8 and how it was a proposal to build more walls that Democrats supported not too long ago. So why won’t they support more walls now? You really need to look more into what the Gang of 8 deal was. If you really know what it was, you would know how highly inappropriate it is to bring it up in relation to Trump’s Wall plan. The specifics and details between the two are so vastly different from each other that there really is no comparison. Its like people that say the Bible and the Qu’ran are the same book because they both talk religion. The Gang of 8 had a lot of people on the liberal and conservative sides against it, but it was more of a comprehensive immigration reform package that looked at laws, border technology, and fencing – the exact stance that Democrats today are taking (and that Trump and the Republicans are opposing). Look, I am from Texas – I have know of many people that live along the border. Don’t start with the “so many gangs crossing the border and causing crime!” lines. That is all made up stories from certain media outlets. People who live along the border itself often don’t really see that much of a “crisis” happening there. Then there are the times that people living near the border just lie about who they got in shoot-outs with. To me, this whole debate is a just a way to avoid dealing with the immorality of our entire immigration system – one that is designed to create a slave labor force for the elite to abuse and exploit. But hey conservatives – you keep trying to pwn people for deciding to have different stances on different types of walls/fences, while continually ignoring God’s commands about how we treat foreigners in our midst. And this is what floors me the most: you can point out how millions of human beings are being abused and exploited by the current system… and the most common response from many people is “there is nothing immoral about expecting people to follow legal immigration!” No one ever says anything about that aspect – but the people that use this re-direction response just want to completely ignore what was pointed out as the real source of immorality. Amazing. But the reality is that many of us feel that Trump’s Wall plan as an addition to our current system is an immoral expansion of a system that already supports immorality. But this is not an absolute either/or stance, where we believe that the only other option is to get rid of border security and all fences or walls. This is a complex situation that needs reform and solutions that are more nuanced than “build a wall!” And yes, it may seem contradictory to some to say that current walls are working AND we don’t need Trump’s Wall plan… but it’s not really contradictory at all. It’s really not even that “metamodern” per se (but might seem that way to those from an extreme modernist mindset). Trump’s Wall plan is not just a generic “build a wall” plan, but a specific plan to build a specific wall to keep specific people out while not addressing most of our current immigration issues. 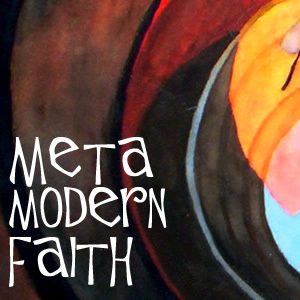 Exploring faith, philosophy, politics, science, reason, and God from a progressive metamodernist perspective. Civility Never Was That Great of a Thing. Time to Let it Go.